This is the sixth in a 10-part series entitled ‘The Smart Job Search.’ You can find the series so far by clicking here. In my last Smart Search post, I talked about the importance of working with recruiters and explained that they are the gatekeepers for tons of unadvertised positions. That’s why it’s vital to make yourself visible online and one of the very best ways to do that is to build a strong LinkedIn profile that is optimized for search. LinkedIn is by far the most popular source of candidates for most recruiters. It’s easy to use, it’s free, and they know that the most accomplished and tech-savvy candidates are all there. No excuses, you must be on LinkedIn! A recent survey by recruiting software company Jobvite, showed that 87% of recruiters planned to use LinkedIn to source candidates during 2011. If you’re not on the site, they won’t find you. And as we discussed last time, these recruiters are the gatekeepers for a huge chunk of the hidden job market. 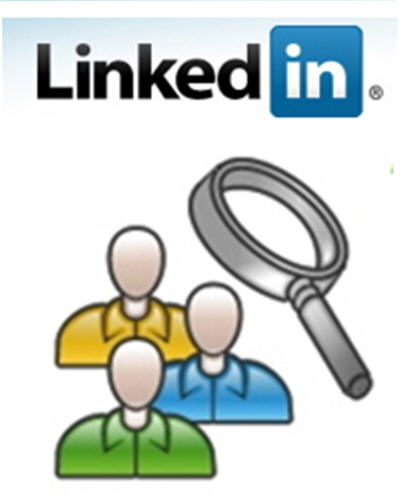 If you have been avoiding LinkedIn because you want to protect your privacy, or because you don’t want your employer to know you’re looking for a job, you should know that a) you don’t have to reveal anything you don’t want to, and b) most of the people who use LinkedIn are not actively looking for a job. Just building a profile will not telegraph your plans to your employer. (If you’re interested in learning exactly how to create a profile that attracts recruiters while keeping your search confidential from your employer, download The Blue Sky Guide to LinkedIn today). And you must be on LinkedIn in the right way! It’s not enough just to have a profile, although it’s a good first step. In order for you to get the best results, your profile must be complete, compelling and search-optimized. Let’s walk through each of those and I will explain why they matter. According to LinkedIn, a person with a complete profile is 40 times more likely to be contacted than one whose profile is only partly completed. Check the right hand column of your profile and LinkedIn will tell you how complete it is. Follow their instructions and be sure to include everything they ask for because incomplete profiles rank lower in search results and also have less appeal for recruiters. Be sure to include a photo (very important) and ask for at least three endorsements from colleagues or former co-workers. Do you remember when we talked about resumes and how important it is to communicate your individuality? The same applies on LinkedIn. You must show some personality and tell your story in an interesting way. That means no third-person bios and no stodgy, overly formal word choices. The Internet is a less formal medium than print and must be treated that way, so make your profile professional but human and friendly. When you write your profile, you might imagine that every recruiter will read every word. But in actual fact, many recruiters will never even make it to your profile if you haven’t optimized it for best results. Click the play button on the video below to watch a very short screen cast of a typical LinkedIn search, and you’ll see what I mean. (To make the video larger, just click the little symbol immediately to the left of the word ‘screenr’ in the bottom bar). Including lots of keywords in your profile (meaning buzz words for your profession or industry) will also make you more visible. This is because recruiters may search for skills rather than titles. For example instead of looking for a marketing manager, they may look for the phrase ‘social media marketing.’ If you have included all your important skills in your profile, recruiters are much more likely to find you when they run a search. Getting your LinkedIn profile right is one of the most important steps you can take to tap into the hidden job market. For more tips, check out The 7 Mistakes You’re Probably Making on LinkedIn and How to Write LinkedIn Headlines that Work (and Don’t Sound Icky). In my next post I’ll explain why approaching employers directly can often lead to interviews for positions that have never been advertised. And I’ll give you some great tips on how to do it effectively. If you’re not already subscribed to get updates by email, sign up here so you don’t miss it. In the meantime, if you have any questions or comments, just post them below. I’d love to hear from you.